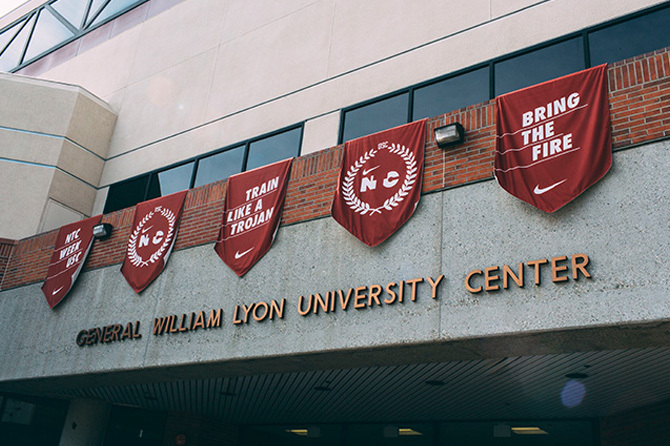 NTC took over USC’s Lyon Recreation Center for a week with the objective to deepen students’ relationship with the club and their own fitness lifestyle. 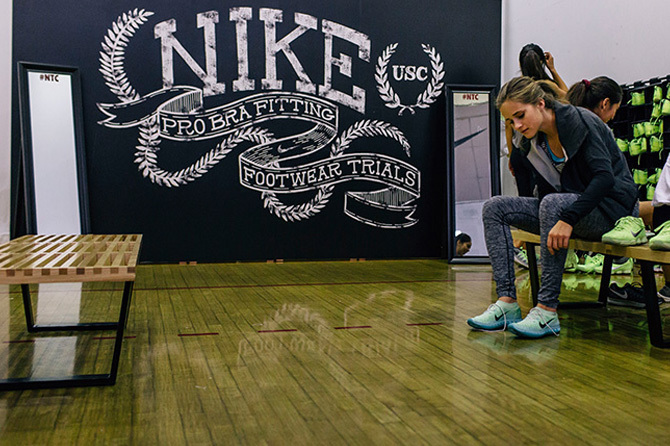 Nike created an immersive brand experience utilizing a unique wayfinding system and strategically placed branding that fit within the college's heavy foot trafficked locations. They partnered with per-existing workout classes and provided elevated workouts. Students also had the opportunity to interact with the Nike Product Lounge providing footwear and Fuelband trials, run analysis and sports bra fittings. 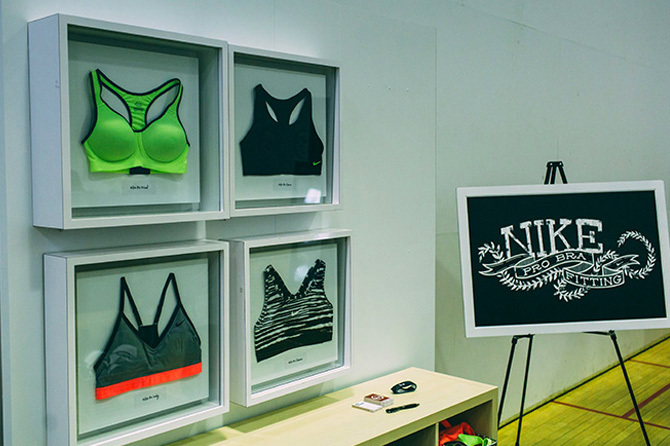 A custom-built Nike retail space showcased the latest workout gear as students made their way through the lobby. Retail we designed that was located in the center of the lobby. Signage created throughout the school.